Google Drive is a nice cloud storage service. It provides a suite of nice online document spreadsheet and slide editors Google Docs, Google Sheets and Google Slides. The collaborative editing and full history tracking features of Google Docs are excellent. Google Drive gives 16GB free storage which is pretty much larger compared to other free cloud storage plans. However, there has never been an official client released for Linux. The best Google Drive client which I find recently that works smoothly and nicely is a software product Insync. We will check how to install and use it in Ubuntu 18.04 in this post. There are other choices for syncing Google Drive files, such as Gnome Online Accounts. Insync has its unique features available that are useful. 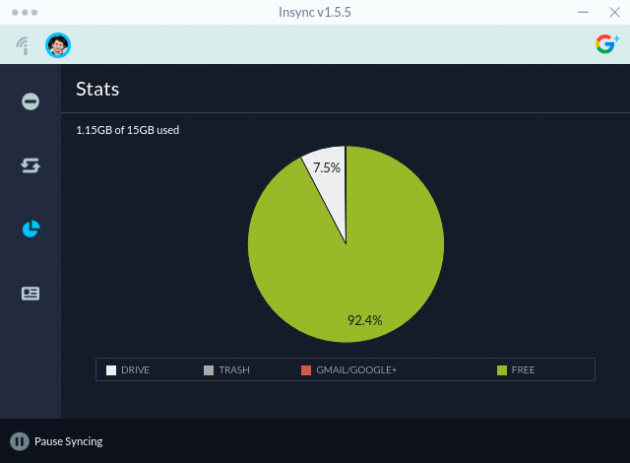 Unlike Gnome Online Accounts, Insync files are visible and available in the local file system following the directory structure and file names in Google Drive instead of some “virtual” file systems only available to Nautilus, and Insync does not require accesses to all permissions of the Google account and only limits the access to the Google Drive. 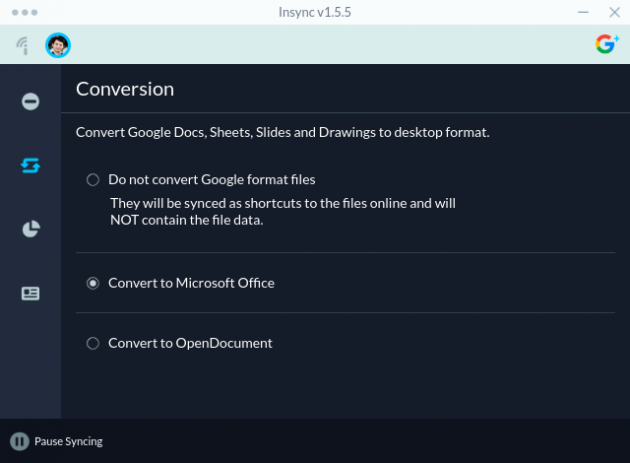 The one most important feature of Insync is that it can download a copy of the converted Office or OpenDocument files for the Google Docs/Sheets/Slides files no matter whether it is created by the account owner or shared to the account owner, and local modifications are sync’ed to the Google Drive automatically. 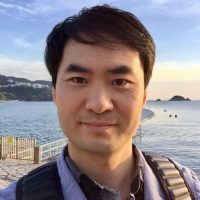 This is a powerful feature, that enables making backup of the files in the Google Docs/Sheets/Slides created by one or shared from others, which is very unique to Insync as so far I find. Overall, its functions deserve the one time $29.9 fee ($5 discount using this link: Insync) to me and the 15-day free trial can be used to evaluate whether the features are really useful. Now, let’s look at how to set it up in Ubuntu 18.04. Click Insync ($5 discount from this link). Click the “Try free for 15 days” and login using your Google Account. After this, you Google account should be ready to use Insync. After Insync starts, following its GUI instructions to login your Google account(s) and authorize the accesses to your Google Drive and it will start to sync files. If you would like Insync to convert the documents files, set the options in the “Account Settings” tools as shown in the images shown in the earlier part of this post for that Google Account (per Google Account settings) and Insync will automatically convert the document files.